While we continue to provide high quality health care at our hospital on the island of Venice, we are making strides in constructing a replacement hospital on the mainland. 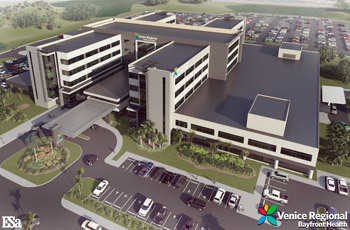 As our community’s hometown hospital, Venice Regional has a long history of caring for our friends and neighbors, and we are excited to continue that tradition in a new facility that will provide the same services as our current location. 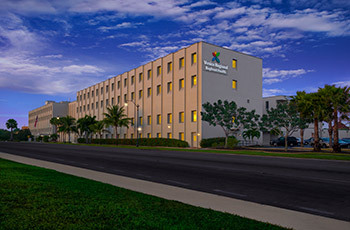 We plan to invest significant resources in the replacement facility to meet our community’s healthcare needs by expanding access points for patients in the Venice area; enhancing the patient experience with all private rooms, and an expanded ER and surgical suites; and supporting our caregivers in their work to provide efficient, effective, personalized care. After an extensive search of available sites, we chose a location in our primary service area that has easy access from I-75 and other major roads in the Venice area, adequate acreage, and one that is less exposed to hurricane impacts than the island facility. 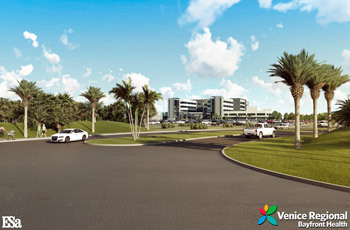 After receiving state approval in summer 2018 and county approval in early 2019, plans for a replacement hospital on East Venice Avenue near Jacaranda Boulevard are proceeding. We expect to begin site work in late 2019, with a projected opening in late 2022 or early 2023. 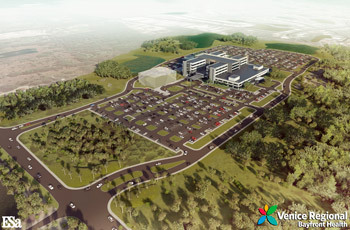 Plans for the existing facility on the island are under discussion with the hospital’s Board of Trustees and Advisory Councils. Questions about the replacement hospital may be directed to ReplacementHospital@BayfrontHealth.com.